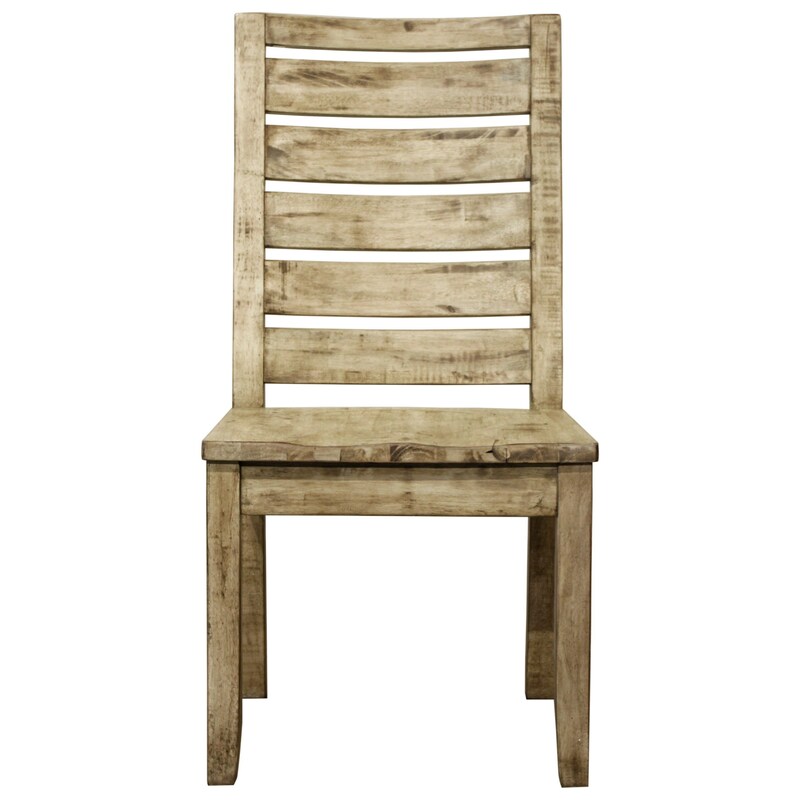 Create a dining space that feels relaxed and natural with this rustic dining side chair. The Renewal by Napa Ladderback Dining Side Chair by Napa Furniture Designs at HomeWorld Furniture in the Hawaii, Oahu, Hilo, Kona, Maui area. Product availability may vary. Contact us for the most current availability on this product. This collection will enrich your home with charming rustic style. Built with a focus on quality, this furniture features solid wood construction that is dust proofed and double sealed before to prevent damage from inconsistent moisture. Finished with a distressed effect, this collection will add striking detail to your space that many will admire. The Renewal by Napa collection is a great option if you are looking for Rustic Contemporary Coastal furniture in the Hawaii, Oahu, Hilo, Kona, Maui area. Browse other items in the Renewal by Napa collection from HomeWorld Furniture in the Hawaii, Oahu, Hilo, Kona, Maui area.